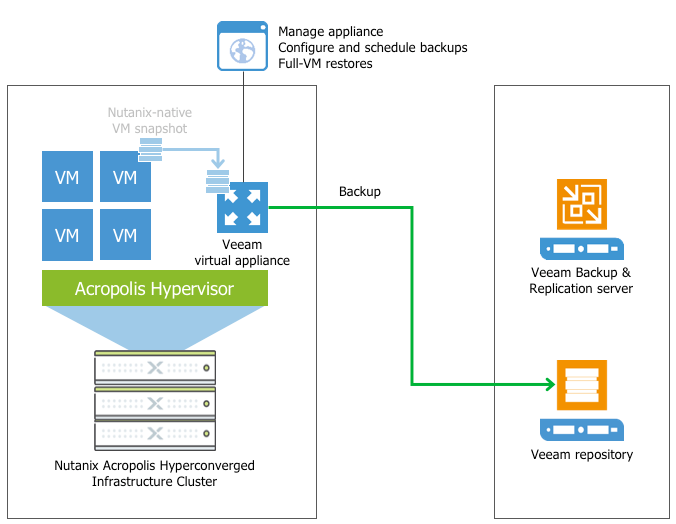 The Veeam backup server is there to allow for authentication from the Veeam backup proxy appliance to give the ability to send backup files to the Veeam backup repository. 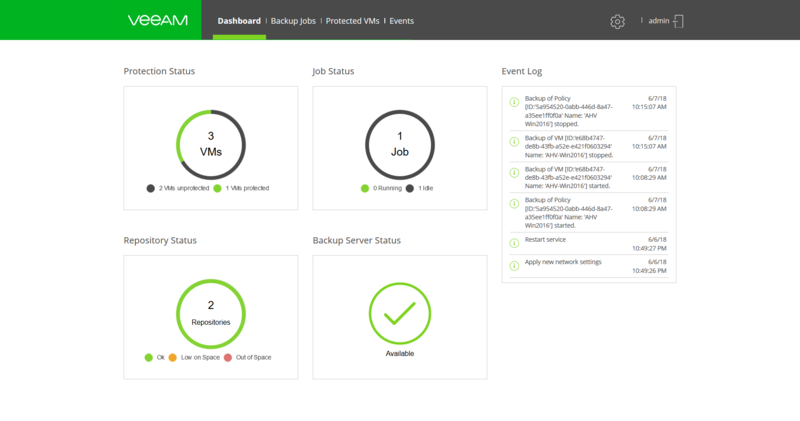 The Veeam Backup Server also offers the ability for longer term retention to either tape, disk or Veeam Cloud Connect. 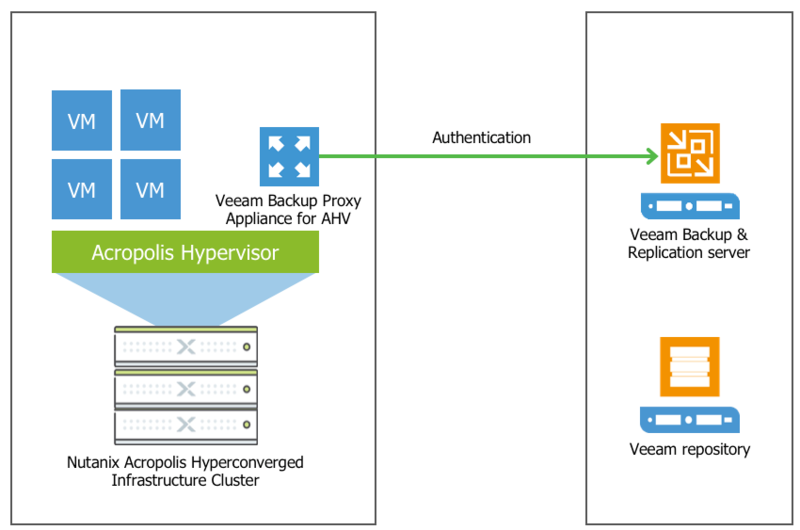 The proxy appliance will be deployed within the Nutanix Acropolis hyper-converged infrastructure cluster. Management of the appliance as well as the configuration, scheduling and execution of backups and full-VM restores will be handled by a new web UI, specifically designed to look and operate like Prism for familiarity, to Nutanix administrators and users. 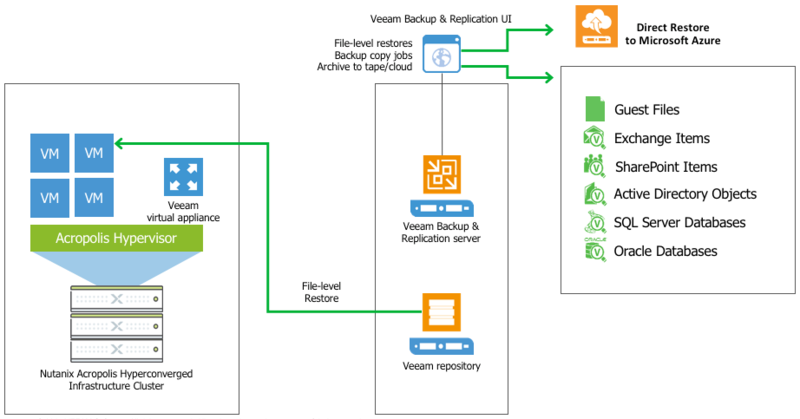 The Veeam backup repository is a folder on a storage device that acts as a backup target that is managed by the Veeam backup server. 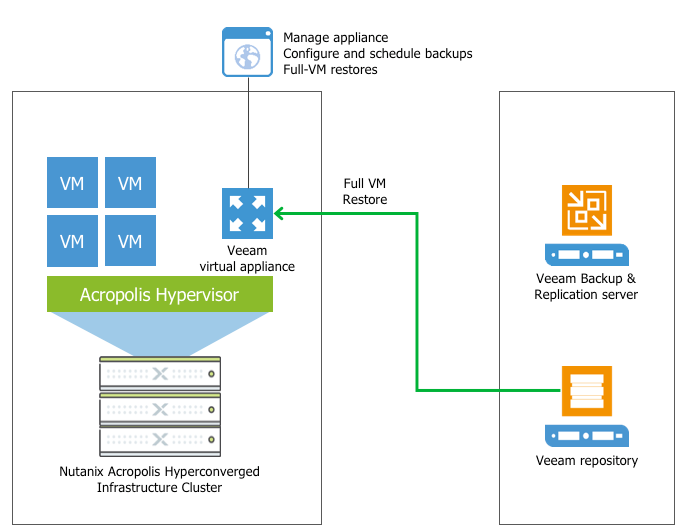 Veeam Backup & Replication creates per-VM backup chains: One backup chain contains data for one VM only. Now let’s get to the interesting part, the backup is the insurance policy that none of us hope we ever have to use, the recovery though is where we could be saving jobs and lives. Recovery options from the proxy appliance will be full-VM recovery to the original location, performed from within the web UI. The ability to restore individual virtual machine disks is also possible from the web UI. I am super excited to see the technical innovation happening within Veeam, the elevation of the Hyper Converged market leader as a Veeam elite alliance partner and the addition of the third hypervisor within the Hyper-Availability Platform. I am now even more excited to see where this product goes in the future. I strongly encourage anyone that has AHV deployed or under evaluation to download the fully-functional FREE 30-day trial today.